We offer – garbage dumpsters, construction dumpsters and commercial dumpsters, 10 yard dumpsters, 20 yard dumpsters and waste disposal bins. The beginning of summer is the ideal time to plan that long awaited house renovation or just a basement cleanout. Before it gets too hot, a yard and garage cleanout are vital at this time of year to prevent rodents from nesting. Don’t procrastinate! The longer one puts off the inevitable work the more it will accumulate. When you’ve decided to go ahead take a moment to plan properly. The most important planning is to rent the correct size dumpster. 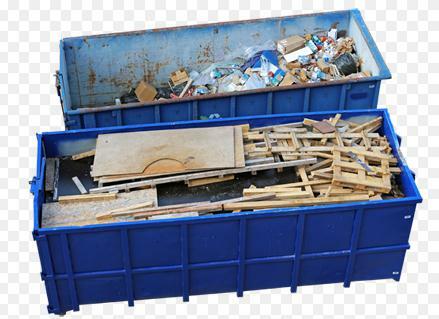 At Green Solutions, we are always available to give you advise on the size dumpster that will suit your needs. The next plan you need to research is the place the dumpster will sit when we deliver it. Check the entrance from the road and make sure there is enough space to accommodate the dumpster where it won’t obstruct walkways or roads. If you’re downsizing your home there will be different issues to take care of before you decide on the size of your dumpster. Gather up any furniture, clothing, home appliances and toys you and your family won’t be needing in your new space and have a yard/garage sale! Make it known to friends and family that you’re having a sale through word of mouth, signs at the end of your street, and by making an announcement on social media, or your local newspaper. Try to separate the items that you will definitely need in your new home. Next remove the items that will be accepted to Goodwill and get them out the house as soon as possible. This may even require a few trips but will help you measure what you’re actually left with. This process will make it a lot easier to measure the size of dumpster you will actually need for the trash that’s left behind. If its garden waste you will need the dumpster for, try to cut the branches into manageable sizes that will fit into the rental dumpster. Keep in mind that there are certain flammable and chemical restrictions on waste material that can be accepted into dumpsters. We at Green Solutions and More have clean, spacious and affordable dumpsters. Just toss the items into the dumpster and schedule when you would want us to pick it up and dispose of them for you.